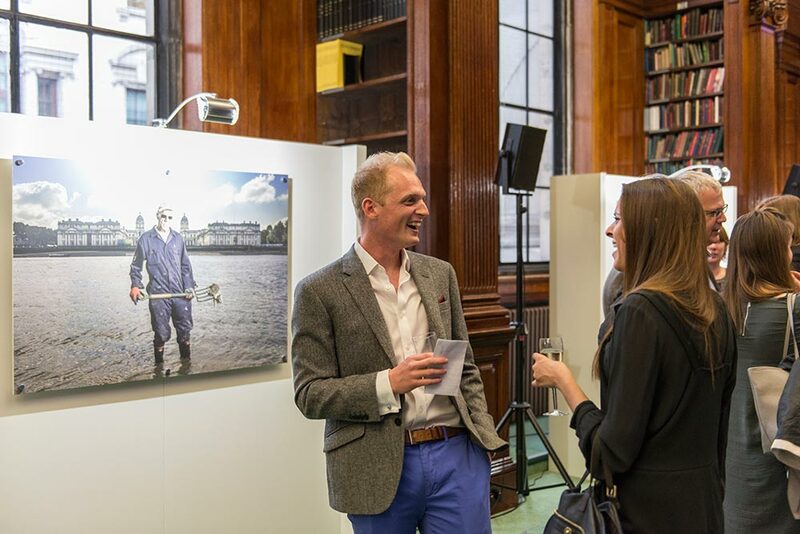 The Tideway Exhibition by Wandsworth-based photographer Matthew Joseph, documents the lives of people who use the tidal river for work, leisure or travel. It features all photos from his stunning River People Collection and a number of images from London's Superhighway Collection. London's Super Highway is as much an awareness campaign as it is a collection of Thames landscapes - attempting to reveal that the Thames is as important today as it's ever been. It's all about portraying the busyness of the bustling Thames and challenging the viewer by creating creative chaos across scenes they know so well. The artist, Matthew Joseph is a commercial and advertising photographer specialising in capturing people and lifestyle. 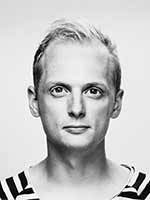 Based in Wandsworth, London but working worldwide, his bold and vibrant style is commissioned by a range of clients across the advertising, corporate and editorial industries. Meeting people, making connections and documenting the moment are central to his work, as is his home city and the river which runs through it. Ever striving to evoke emotion in each image, honesty and originality are of the utmost importance, and the passion he possesses for the camera and his art is evident. Matthew was recently awarded first place in the RICS 2016 Infrastructure Photography competition. 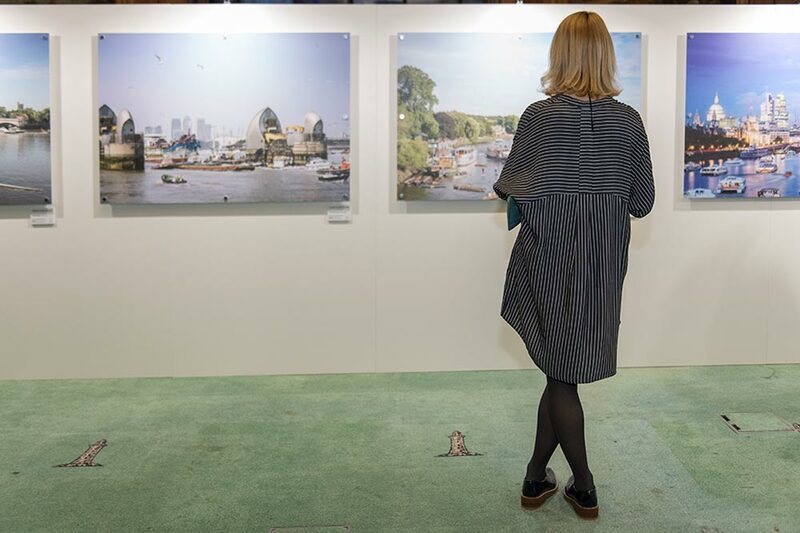 The River People Exhibition was launched on 21 April 2016. 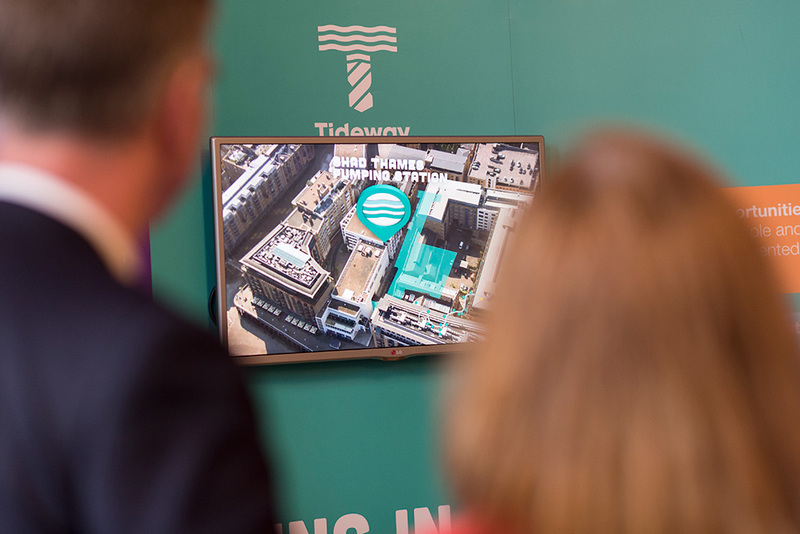 Attendees included ICE Vice President Tim Broyd, Sir Peter Bazalgette, Chair of the Arts Council England and descendent of Sir Joseph Bazalgette, the engineer behind London's first sewerage system, and many of the subjects of the portraits on display. 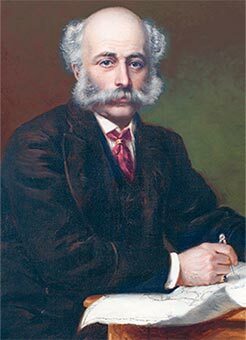 Sir Joseph Bazalgette is immortalised as the man who created London's great system of interceptor sewers, saving the lives of thousands as well as transforming the appearance of London's river front. Born in North London, Bazalgette trained in Ireland before setting up as a consulting engineer in Great George Street in 1842 – the height of "railway mania". Overwork and stress caused a serious breakdown in his health, and he left London to recuperate. Returning in 1849, he was appointed Assistant Surveyor to the Metropolitan Commission of Sewers, which by 1851 had established the broad outlines of the scheme of interceptor sewers to divert sewage eastwards, with connecting systems north and south of the river. In 1852 Bazalgette was appointed engineer to the Commissioners. Bazalgette was described as "very slight and spare, and considerably under the average height; but his face, with its prominent acquiline nose, its keen grey eyes, and its grey whiskers and black eyebrows, gives you the impression of a man of exceptional power". An obituary said: "Sir Joseph never appeared to be an ambitious man, and yet he became identified with undertakings which the most ambitious might have been proud to accomplish". In the mid-19th Century Londoners were suffering from frequent cholera epidemics: in 1853-54 more than 10,000 were killed by the disease. The hot summer of 1856 created the "Great Stink of London" and prompted a national outcry. In the same year, The Metropolitan Board of Works (MBW) was established with Bazalgette as its Engineer. Its first task was to complete the design and implement the plans for the main drainage of London. In 1858 the MBW obtained its enabling Act and work began in 1859. The southern system included the sewers, Deptford Pumping Station, the Southern Outfall Sewer and Crossness Pumping Station. The northern system, including pumping stations at Abbey Mills Stratford and at Pimlico, was delayed by the complexities of integrating the low-level sewer, the Victoria Embankment, and the Metropolitan District Railway. The whole system was comprised of 1300 miles of sewers and 82 miles of large west-to- east intercepting sewers. In his ICE Presidential Address of 1883, Bazalgette said: "London contains at present nearly four million people covering an area of 117 square miles, upon which are built 500,000 homes, giving an average of eight persons to each house. Its population has quadrupled since 1801. From that date the increase has been at the rate of 16-20% every ten years, and it now increases at the rate of about 70,000 per annum. Where will it end?" "There are now about 2,300 miles of underground covered sewers. They vary in size from 9 inches to 12 feet, 6 inches in diameter. All the houses are connected with them, and the house refuse and the most offensive decomposting matter is removed through them by the water supplied to the houses flowing through the sewers after use, in an unobtrusive, inoffensive and economical manner, and without manipulation of any kind." "The main interception scheme came into operation in 1870-71; and considering that the mean annual death rate in London was, in the decade ending 1850, 24.8 per 1000, and for the year 1882 was only 21.4, it may not be unfair to claim for those works a considerable share in this decrease in deaths. But a decrease from 24.4 to 21.4 represents about twelve thousand lives saved every year in London, and a proportionate increased length of life for the living." As part of the main drainage system Bazalgette fulfilled the long- cherished plan of embanking the Thames in central London, which involved three major works. The Victoria Embankment is a mile and a quarter long, running between Westminster and Blackfriars bridges. Lengthy negotiations with private property owners, coal wharf operators, the City Gas Company and Metropolitan Railway directors took place before work could begin in 1864. Behind the curved granite river wall was the northern low- level sewer, a service subway and the underground railway. The Albert Embankment, on the south bank between Westminster and Vauxhall bridges, was opened in 1868, and the Chelsea Embankment was completed in 1874. 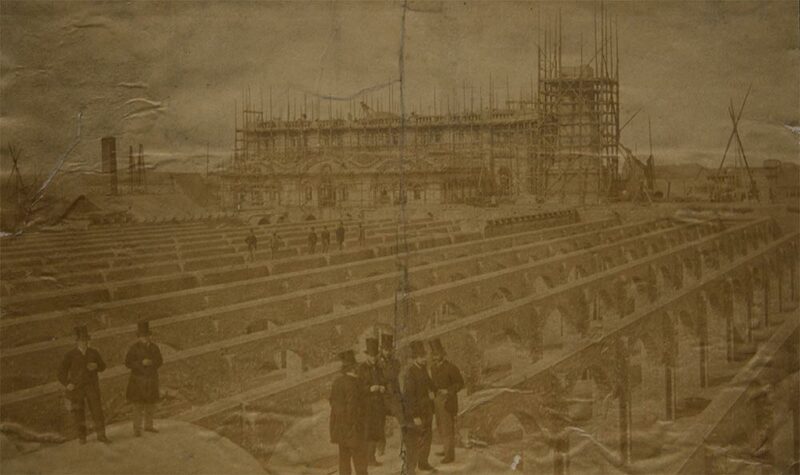 As well as tidying the mud banks on the river's edge, the embankments improved road traffic flow and provided additional building land – Bazalgette explained that the embankments extended "35 miles along the river, and they had reclaimed about 52 acres of land". An Act of 1877 enabled MBW to purchase twelve Thames bridges and free them from tolls. Bazalgette decided to replace three of these with new structures to his own design: the present masonry arch bridge at Putney, the steel-link suspension bridge at Hammersmith and the iron arch structure at Battersea. Bazalgette was also concerned to ease congestion due to horse- drawn traffic in the capital and he initiated a major programme of design and construction on several new thoroughfares, including Southwark Street, Queen Victoria Street, Northumberland Avenue, Shaftesbury Avenue and Charing Cross Road. His department reported on plans for about 3,000 new streets and the cost of street improvement works was about £14m. An import part of Bazalgette's work as Engineer to the MBW was to monitor the passage of private Bills passing through Parliament which would have an impact on the public amenities of London – including railways, tramways, docks, water supply and energy utilities. He remarked: "Private individuals are apt to look after their interests first, and to forget the general effect on the public, and it is necessary that there should be somebody to watch the public interests". In Victorian Britain, a salaried local government engineer was often allowed the freedom to engage in private, fee-earning consultancy work. Bazalgette was consulted about drainage in at least 30 British towns. He also designed a bridge over the Medway opened in 1879. He retired in 1889 when the MBW was replaced by the London County Council.